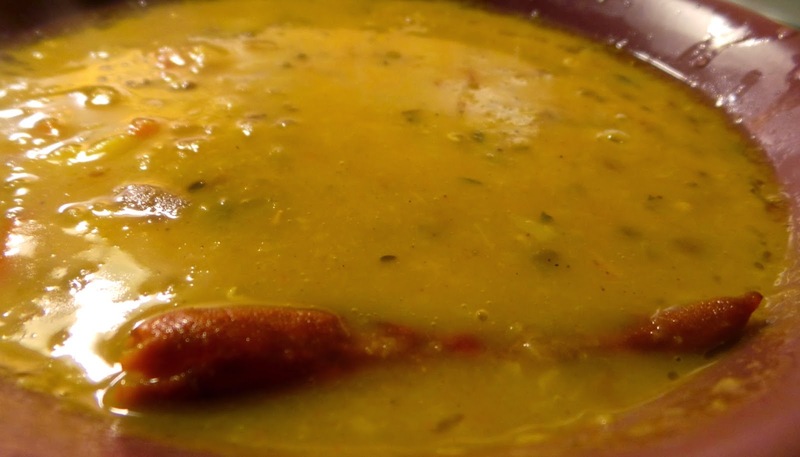 As evident from the name, Panchmel dal is made by a combination of 5 lentils. It is a typical Rajasthani dish and being from the capital city of Rajasthan myself, I love to savor it as many times I get the chance to. On the occassion of Gangaur (which is a colourful festival celebrated by the Rajasthani women, I made this Rajasthani delicacy: Panchmel Dal and oven-baked baati. Wash and soak all the dals for about 15 minutes. Pressure cook with salt and turmeric until the dals are soft. Let the pressure release by itself. Prepare tempering: Heat the mustard oil and crackle the cumin seeds. When they splutter, add the dried red chilli, cloves and cinnamon. Add the onions and saute until they are transparent. Add the tomato and sprinkle salt. Let cook until the tomatoes are soft and mushy. Add the dry spice powder: red chilli, coriander powder, mango powder and garam masala. Mix well and let cook for about a minute to blend in the flavor. Add this tempering to the boiled and mashed dal. Do not add a lot of water, just a little if required. Let it simmer for about 10 minutes. Heat the ghee and add the asafoetida. After 10 seconds, add the curry leaves and the chopped garlic. Let cook on medium flame until the garlic starts browning. 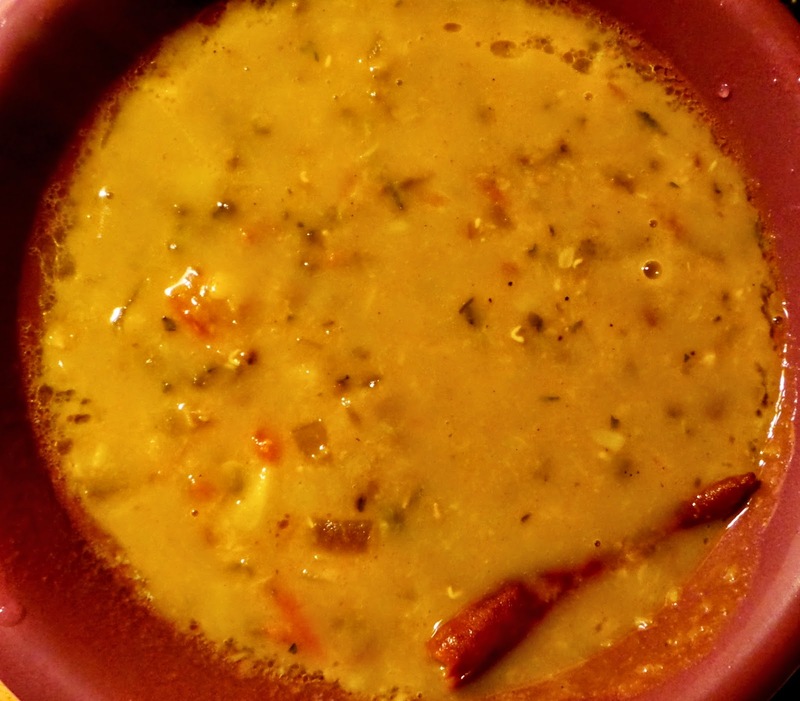 Remove from flame and add this tempering to the dal. Remove everything from the flame. 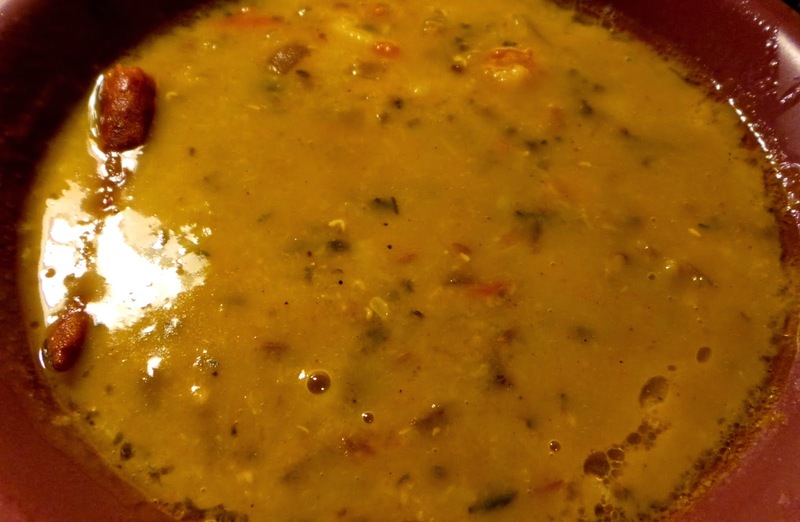 Add the lemon juice to the dal and mix well. Cover and let sit for about 15 minutes. Open and serve with hot baatis or even chappati or jeera rice. Add oil/ghee to the wheat flour and mix very well. I use olive oil because it is healthier. You might also add salt and carom seeds if you like. Make a hard dough by adding very little water at intervals so that the dough is not sticky. When the dough is ready, make round balls from the dough the size of baatis you want. Heat the oven and make small dents in all the baatis with a knife. Keep the baatis on the grilling plate and let it cook on high for 10 minutes. Then lower the temperature and let them cook for another 20-25 minutes so that the insides of the baatis are cooked properly. The oven temperature will vary with the type of oven. I keep at 250°C in the beginning (10 mins.) and then 150°C (for 20-25 mins). Remove from the oven and break the hot baatis carefully. Pour a lot of ghee all over the baatis and serve piping hot with Rajasthani panchmel dal. Awesome, drooling here, mouth watering recipe.